I've been testing a lot of soaps lately. It was getting to the point where I swapped out soap almost every week. I was waiting for the day when my man would start complaining, but instead he came up to me one day and said, "I really like that new soap." What soap was it and why did he like it? 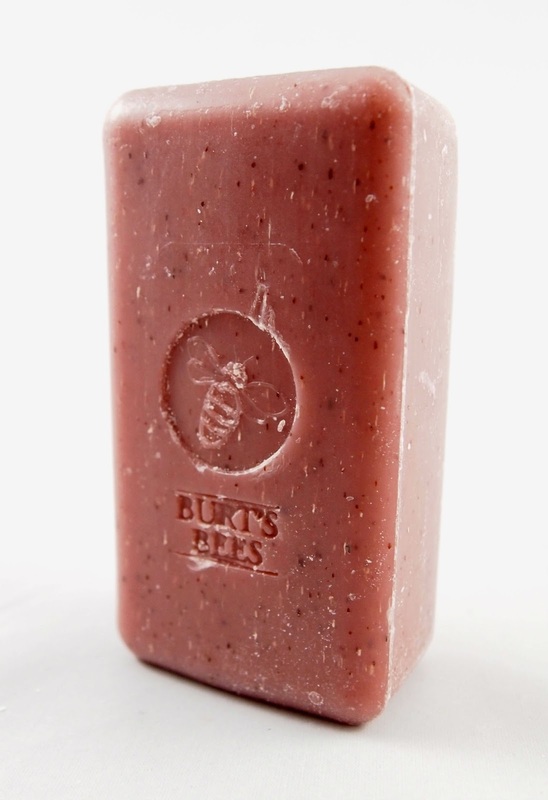 It was Burt's Bees Cranberry and Pomegranate Replenishing Body Bar, and he loved it for its gentle exfoliating properties. 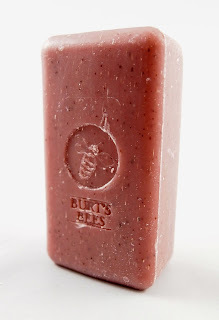 Burt's Bees Cranberry and Pomegranate Replenishing Body Bar is a nice everyday soap. When rubbed over your body, the small pieces embedded in the soap lightly exfoliate. The scent is pleasant but not overwhelming, and it is packaged well enough to give as a gift. Unlike many other Burt's Bees products, this soap is free of animal products, making it safe for vegans. While this soap rates a 4 on the EWG Skin Deep Database, it is mostly due to the fragrance and a few ingredients that are often present as a result of essential oils (citral, geraniol, limonene, and linalool). 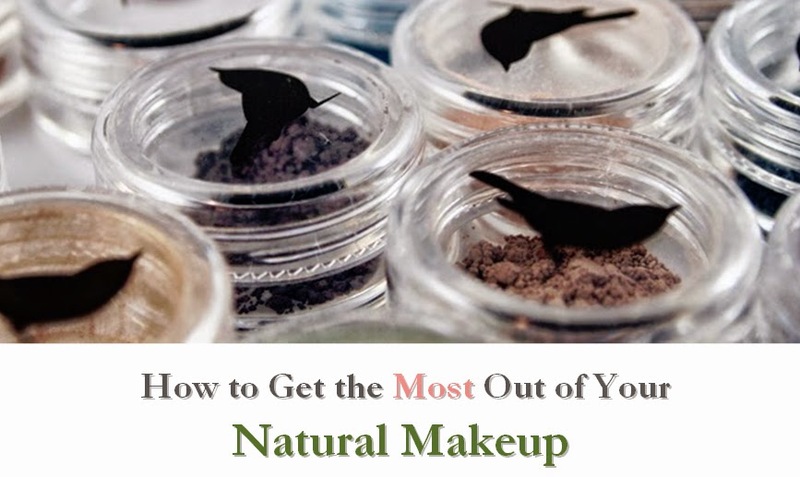 Overall, it is a nice natural option if you don't mind a soap with a fragrance.